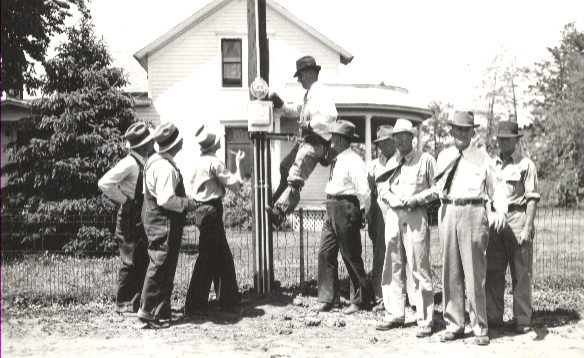 Lineman RE Walker turns on the first REA electric current at the TA Williamsen Farm & Home in 1940. In the early 1930s, nearly 90 percent of rural America was without electricity. While more populated areas had power, it was not cost effective for commercial electric companies to bring lines out to rural areas. 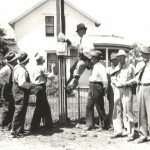 In 1936, Congress acted to remove rural areas from the “Dark Ages” when it passed the Rural Electric Act, a bill to create the Rural Electrification Administration (REA) that was co-sponsored by Nebraska Senator George Norris and Texas Senator Sam Rayburn. Low interest loans were made available to the commercial electric companies, but they chose not to take advantage of them. 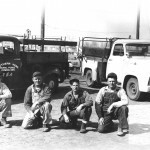 The agency then offered the loans to rural citizens wishing to form locally-owned electric systems. 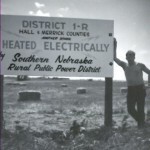 That same year, a group of farmers in Phelps, Kearney and Adams Counties formed the Southern Nebraska Rural Public Power District and elected a Board of Directors, who applied for a $428,000 loan from the REA for the construction of electric power lines. One of Southern’s “founding fathers”, Forrest “Frosty” Morrison of Loomis, told a news reporter in 1937 that, “Electricity is going to increase the valuation of our farms, make for better health, and should raise our income. It will also be an influence for keeping young people on the farm”. Hall, Hamilton, and Merrick Counties each organized their own power districts in 1937, and in 1949 they merged with Southern Nebraska Rural Public Power District. The first office of the then six-county Southern Public Power District was located in Grand Island in a small building on the corner of 4th and Broadwell. 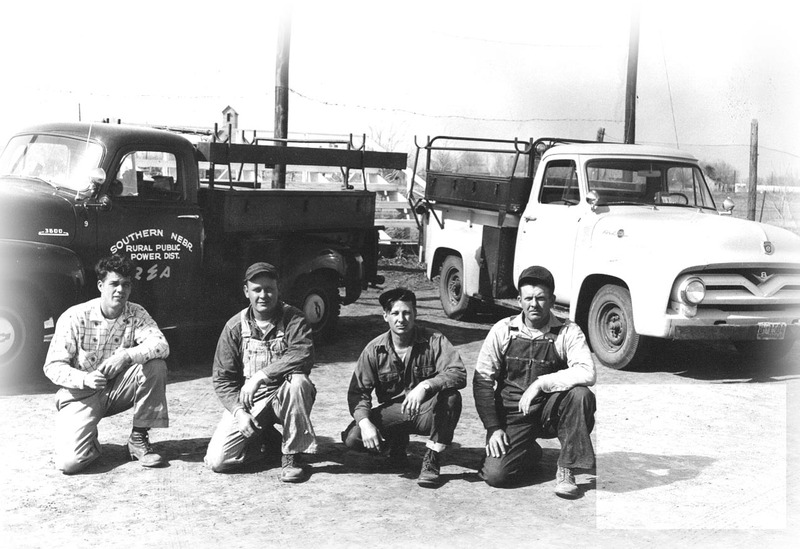 By 1941, Southern had built 837 miles of line to serve 1,095 farms. 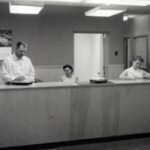 Southern’s office staff, located on 3rd street, date unknown. In 1946, Southern purchased the full 1300 block on West Third Street in Grand Island and set up offices in the residence located on the southwest corner of the block. The District was then serving 1,825 farms with 1,006 miles of line. 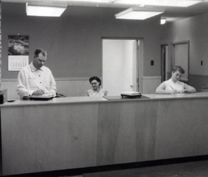 In 1956, a new headquarters building was completed at 1306 West Third. 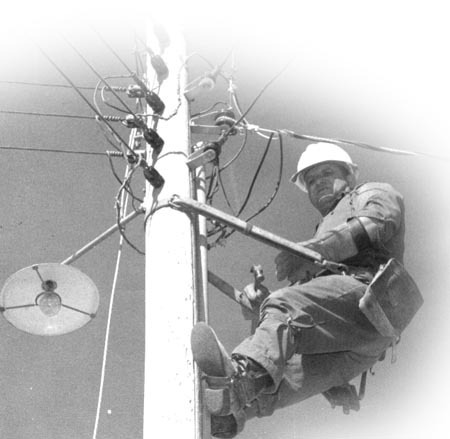 Southern was serving 7,200 homes, irrigation pumps and businesses with 3,300 miles of line, 15 substations and 58 employees. In 1987, Southern retired its Rural Electrification Administration debt and became independent of the Federal agency. Through a prepayment program set up by Congress for REA borrowers, $6.7 million in principal savings for Southern’s ratepayers was realized. In 1990, Franklin County Rural Public Power District merged with Southern, adding one more county to our service area. In 1996, Southern’s directors approved the construction of a new general office facility–a new corporate office and service center/warehouse complex at 4550 West Husker Highway.